A bipartisan bill proposed by two Cold Warrior senators could turn Trump's interventionist foreign policy into law. “The Venezuela Emergency Relief, Democracy Assistance and Development Act” (S1025) introduced by two cold warrior Senators, Robert Menendez, a Democrat from New Jersey, and Marco Rubio, Republican from Florida, puts President Trump's sanctions into law, officially recognizes opposition leader Juan Guaidó as Venezuela's president, offers incentives to Nicolás Maduro government defectors, and provides $400 million in humanitarian aid to Venezuela. The Real News Network's Greg Wilpert spoke to economist Mark Weisbrot about the most recent congressional developments regarding Venezuela. Senators Menendez and Rubio both oppose the Cuban and Venezuela governments, and Weisbrot noted that their support for these sanctions is partly based in Florida politics. “If it were a military operation, which they’ve talked about, it would be called Operation Florida 2020,” he said. But most political scientists agree that sanctions generally do not achieve their aim of regime change, Wilpert observed. Weisbrot explained that these sanctions will cause more suffering in Venezuela—and that seems to be the point. Given that nearly all of the 54 Republicans would support this bill and only a handful of Democrats would have to vote for the bill to pass, it's likely to move forward. There is, however, other legislation on the table that would prevent regime change in Venezuela. The War Powers resolution, which passed the Senate and the House, ordered the end of U.S. involvement in Yemen; and Senator Jeff Merkley of Oregon, a member of Senate Foreign Relations Committee, introduced a resolution cosponsored by Bernie Sanders. 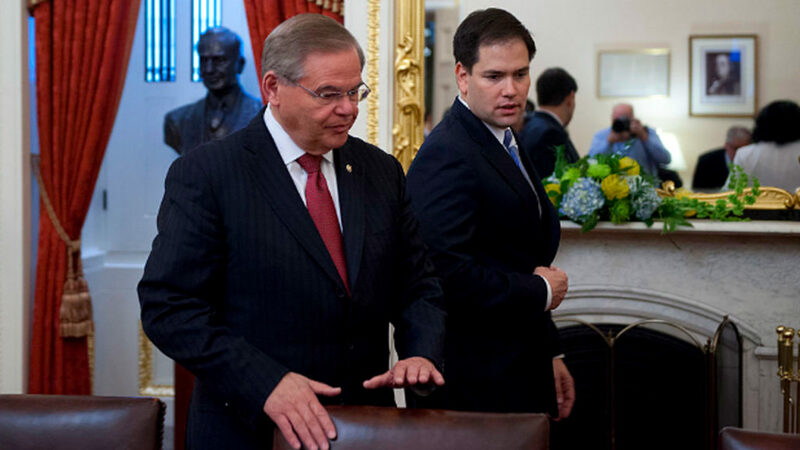 Senators Robert Menendez, Democrat of New Jersey, and Marco Rubio, Republican of Florida, introduced a bipartisan bill to the Senate last week which would put Trump sanctions against Venezuela into law. The bill, S1025, is being called the Venezuela Emergency Relief Democracy Assistance and Development Act. In addition to putting the sanctions into law, it would also officially recognize opposition leader Juan Guaido as Venezuela’s president. It would try to destabilize the Maduro government by offering incentives to defectors, it would provide $400 million in humanitarian aid to Venezuela and neighboring countries, and finally, it would urge U.S. allies to impose sanctions on Venezuela, as well. Here’s how Senator Menendez sees the situation in Venezuela. ROBERT MENENDEZ: Today Democrats and Republicans are united as one on behalf of the people of Venezuela on recognizing interim president Juan Guaido as the legitimate interim president of Venezuela in our pursuit of democracy and human rights for the Venezuelan people. Venezuela is at a crossroads, one in which a dictator clings to power amidst the ruins of a failed state, and one in which democratic actors seek a peaceful transition in the reconstruction of their country and their society. 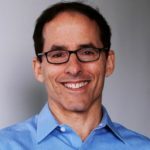 GREG WILPERT: Joining me now to discuss the latest congressional developments with regard to Venezuela is Mark Weisbrot. Mark is a codirector of the Center for Economic and Policy Research in Washington, D.C. and the author of the book Failed: What the Experts Got Wrong About the Global Economy. Thanks for joining us again, Mark. MARK WEISBROT: Thanks for inviting me. GREG WILPERT: So, Senators Menendez and Rubio are both longtime Cold Warriors who have a history of opposing governments in Cuba and in Venezuela with everything that they can. Now, given it’s been fairly well established among political scientists that sanctions generally do not achieve their aims at regime change, what do you think Menendez and Rubio are after with this bill SB1025, and what do you think they hope to achieve for the U.S. and Venezuela? MARK WEISBROT: Yeah. Well, some of it is just Florida politics. I mean, if it were a military operation, which they’ve talked about, it would be called Operation Florida 2020. So that’s a lot of what they’re doing. But it’s also they really are trying to strangle the economy and starve people into submission, and make their lives so miserable, and kill a lot of people, actually, too. You know, the NGO Codevida has estimated that there’s 300,000 people at risk because they can’t get medicines or medical treatment. The Pharmaceutical Association said that in 2018 there was 85 percent shortage of essential medicine. You have 80,000 people with HIV who haven’t gotten treatment since 2017. You’ve got 4 million people who have diabetes, hypertension. Can’t get the medicines they need, the insulin. So a lot of these people are going to die as a result of these sanctions because they’re making it worse and worse and worse. And that’s what this bill is trying to do, to make it all a lot worse by cutting off and tightening the financial embargo by reducing drastically the amount of dollars that are available for essential imports, or spare parts, or things that you need for electricity, for water systems, increasing disease. All of this is, you know, the UN just came out with a report that documents all of this, all of what’s happening to Venezuela. And the sanctions are doing it all. And the little bit of humanitarian aid, it’s a tiny fraction, and it’s totally politicized, but it’s just a tiny fraction of the billions of dollars that they’re cutting off from the country. And they’re not even–you know, besides that, they’re also using the international financial system and their threats to banks all over the world to make it difficult or impossible for Venezuela to actually use the cash that it still has to import essential items like medicines, and medical equipment, and food. So this is really what they’re doing. It’s quite criminal. GREG WILPERT: Now, only a handful of Democrats would have to vote for this bill for it to pass, given that almost all 54 Republicans would probably support it. How do you see the chances of this bill moving forward in the Senate, and can it be stopped? MARK WEISBROT: It’s really hard to say. I mean, I think they’re getting away with it because people really don’t know what they’re doing. I think a lot of, actually, you know, to be generous, I think some of them don’t know what they’re doing. You know, most of these members of Congress, for example, that have supported the recognition of Guaido, they don’t realize what that does, how that actually by itself imposes a financial and trade embargo, because it says that any revenue that the government could get, which is all the foreign exchange of the economy, everything that they need for these essential imports, it no longer can come into Venezuela because it then belongs to Guaido. And therefore, for example, oil, you know, the United States was the biggest oil market for Venezuela. And now a few weeks ago oil exports from Venezuela to the United States dropped to zero. And so this is–I think they’re doing this because they can get away with it. And it really depends on how much publicity it gets. You do have a bill in the Senate. It’s from Senator Merkley from Oregon, and It’s cosponsored by Bernie Sanders. And that’s a bill to prohibit military intervention. And you have the same bill in the House, the [inaudible] Representative Cicilline, that has 62 cosponsors now. Now, these are just, you know, kind of no-brainer bills that say you can’t have military intervention in Venezuela without the authorization of Congress. I think that’s a first step, at least, to then going after the sanctions. And so people can, you know, of course, call their representative or their senator and get them to cosponsor these bills. I think that’s something they can do right away. And there is momentum for these, by the way, because of the recent, as you know, the passage of the War Powers resolutions in both the Senate and the House ordering the President to cease U.S. military involvement in Yemen. 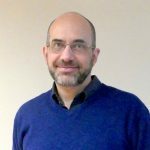 GREG WILPERT: Well, I want to continue this discussion, actually, but this concludes our first segment with Mark Weisbrot, codirector of the Center for Economic and Policy Research. Hope you join us for our second segment. We’ll dig deeper into these issues.